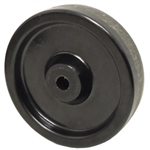 Wheels manufactured with Phenolic resin offer both durability and floor protection in commercial and industrial settings. 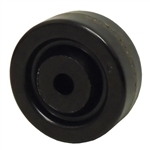 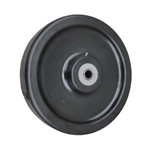 A Phenolic wheel is able to withstand high impact and provide resistance to water, oil, and grease. 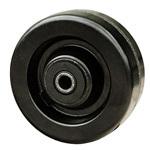 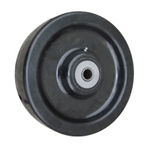 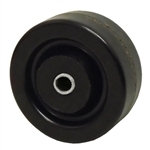 These wheels are a solid choice in both new applications and as a replacement for existing casters. 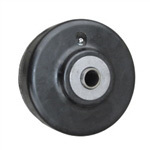 Easy rolling and quieter than steel wheels on most surfaces. 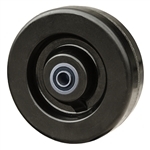 Being non-metallic, Phenolic wheels are also sparkproof. 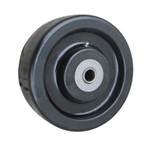 Hardness rating of 90 Shore (D) Durometer. 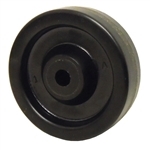 3" x 1-1/4" Phenolic Resin Wheel for Casters or Equipment 500 lb Cap. 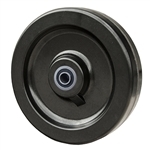 Plain 1/2" bore for axle.